Home » What is the World Watch List? What is the World Watch List? 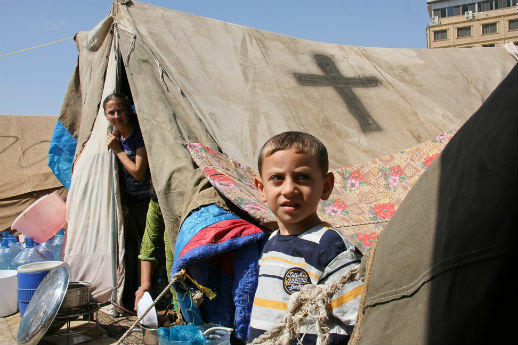 Young Iraqi refugees in Erbil, Kurdistan, in 2014. The World Watch List is an annual report prepared and published by the World Watch Research team of Open Doors. It ranks the 50 countries where it is most difficult to profess and practice the Christian faith. Separately, the team also measures violence against Christians. For each country surveyed, scores for each of the six categories are combined to create a total score. The scores determine the country’s ranking on the World Watch List. Interactive map of 2019 World Watch List countries. Dark red represents extreme persecution. Zoom out to see all 50 countries. Click on individual countries for details. Beginning with the 2014 World Watch List, the research methods used by Open Doors have been audited by the International Institute for Religious Freedom, which researches the persecution of adherents of any religion. The institute, which is independent of Open Doors, assesses the methodology, processes, design and questionnaire of the World Watch List.